Man, there is one fisherman in here who takes off in his boat at high speed at 4 am. 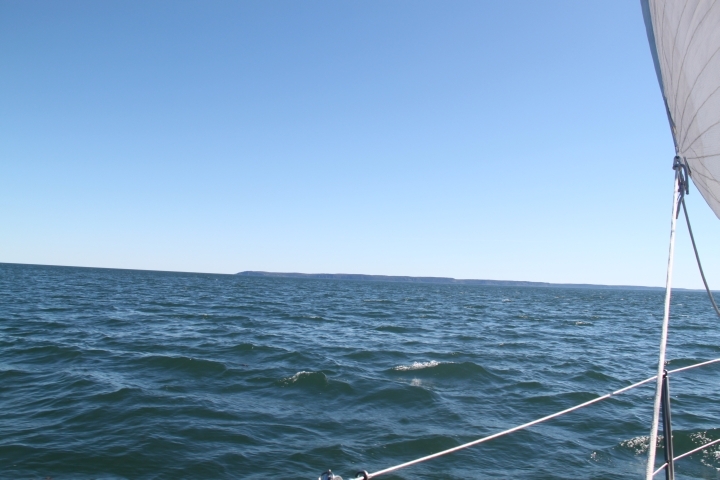 He is so close to our boat and we rock back and forth and of course so does Amazing Grace as we are rafted to her. After breakfast, Mike walked up to see if he could find a gas station not too far away. When he came back, we were going to walk back up together to get the diesel and groceries. Lois told Mike to take the car so Jim and Mike went for fuel and when they came back, we girls drove up for groceries. We said goodbye to Lois and after lunch, we headed out at 12:30. 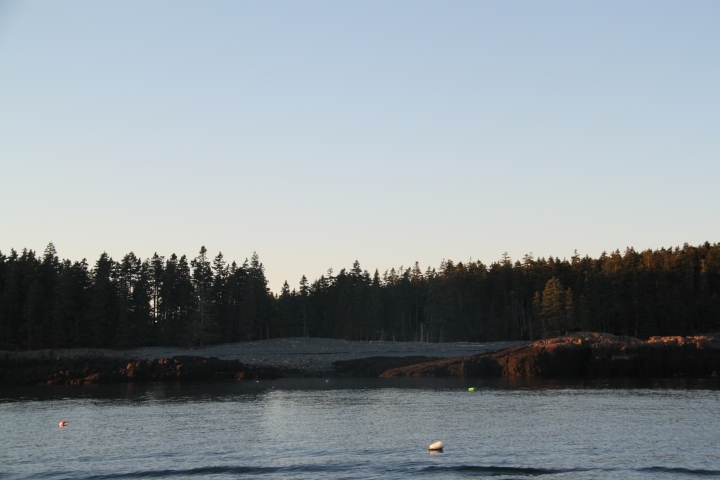 Shortly after I snapped this photo of Deer Island and over on the Campobello side, we saw a fishing tour boat out with tourists trying their luck. 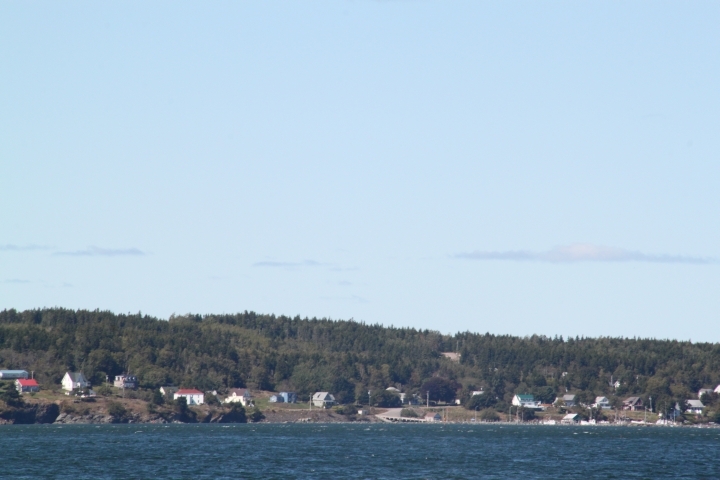 And we passed by the East Quoddy Lighthouse on Campobello Island. A bit of a different view from this side compared to the one a couple days ago. We hoped we may see a whale out in the rips but no sightings there. We were flying high with the tides and current though. 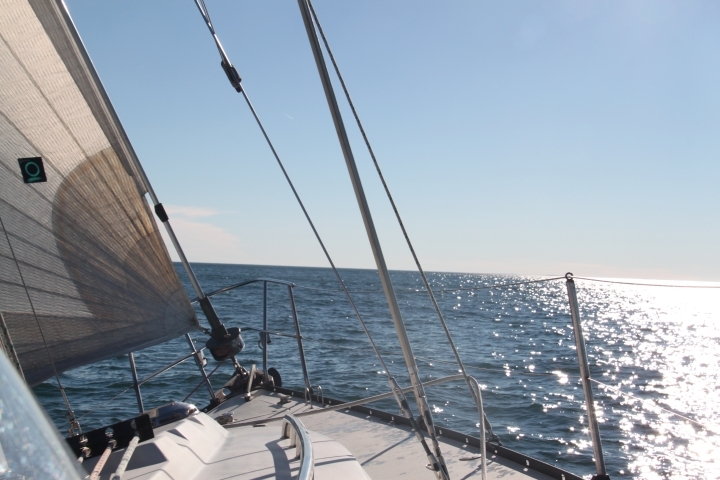 The winds were N 15kn and we were heeled over with the sail out. We got up to 11.2 kn. No photo this time, too busy adjusting sails. Our average speed today was 7.2 kn! Pretty good, eh? As a result of the speed and heeling over, there weren’t many photos today. 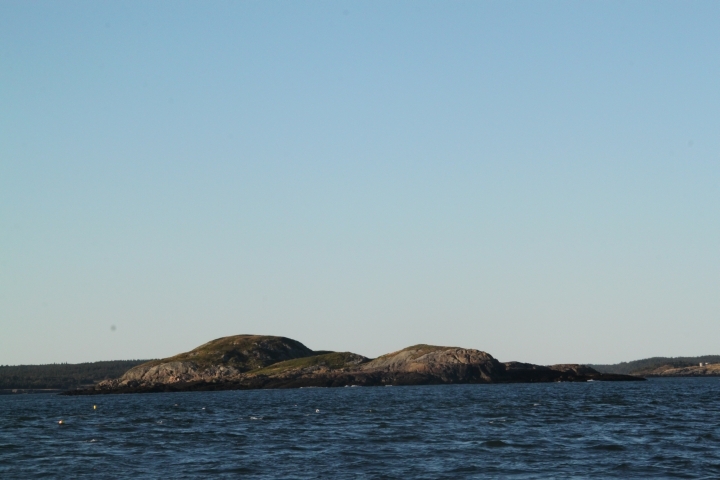 And again today we could see the Wolves and Grand Manan as well. 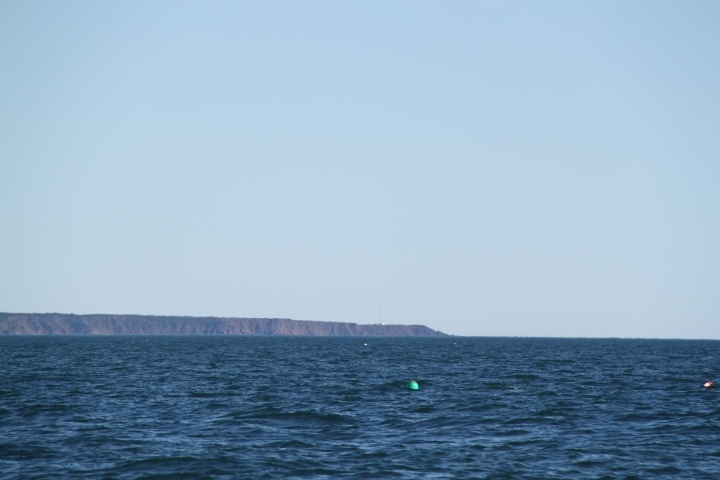 We passed by the West Quoddy Lighthouse and shortly after that we finally saw a fin whale. Not a great photo as he went down quickly after surfacing. What majestic creatures they are. 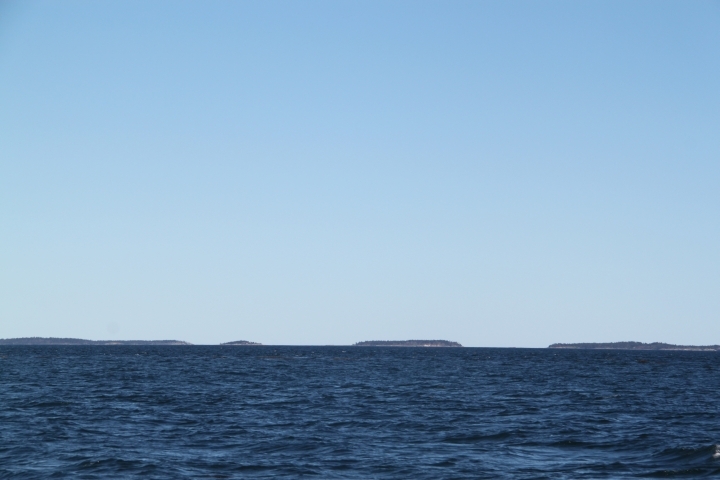 We could see Southern Head, Grand Manan in the distance on the port and the Machias lighthouse on starboard. There were so many lobster pots and hard to see in the bright sun. 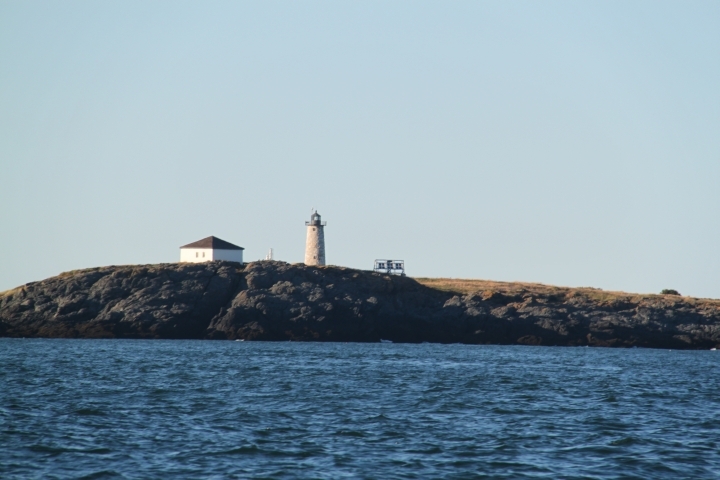 We passed the Libby Island lighthouse and headed in to Rogue Harbour. We arrived at 18:50, almost dusk. 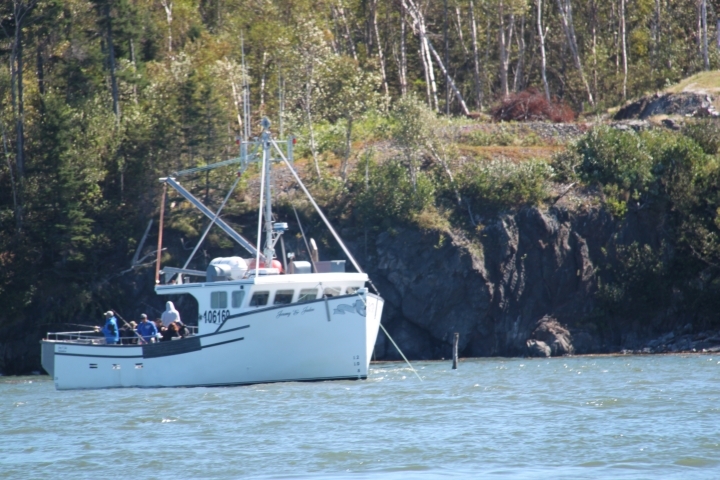 Dropped the anchor and had a good hook. Then noticed that we had no water. The plumbing part that Mike and Kees had picked up in Halifax blew off. Water in the bilge again! Hope to get a brass fitting for it soon. There was not even cell service here for Jim’s phone. But we did have a little seal swim by just before dark and a beautiful starry, starry night. 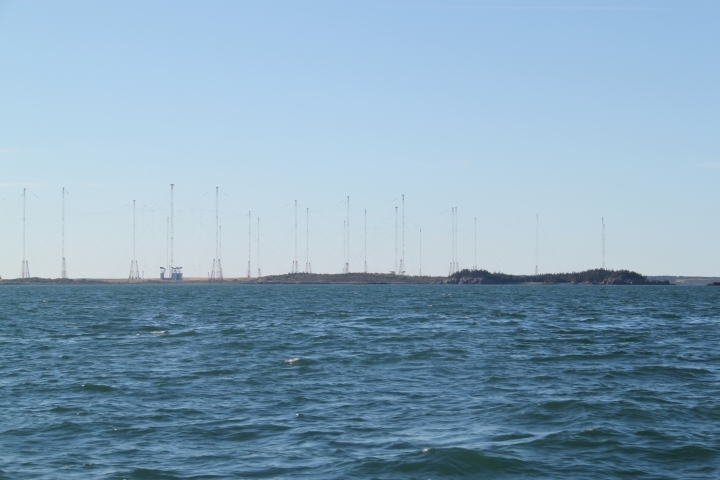 Today we travelled 48.4 nm. 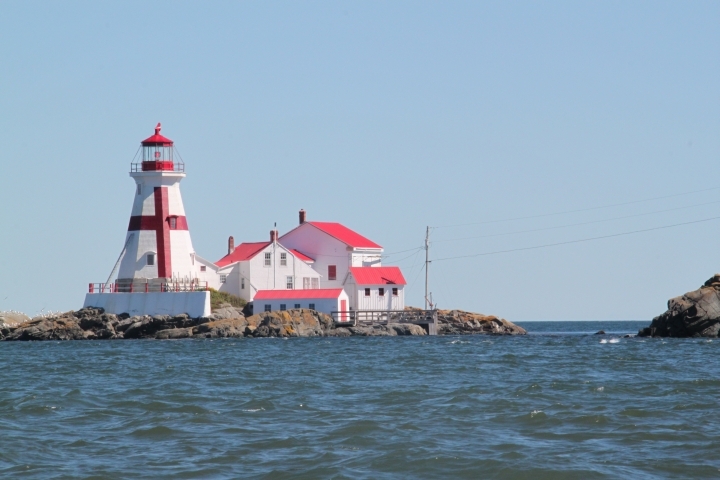 We took my Dad to Brier Island to go whale watching today and it was a fantastic outing!! 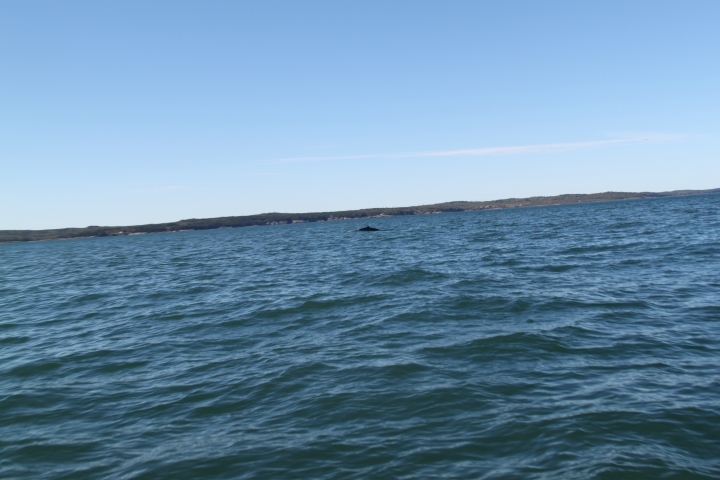 The weather was beautiful and we saw 21 different whales, amazing! I hope you manage to get your plumbing issues fixed SOON.